The first boat, launched in 1995 was christened ‘Gotcha’ to symbolize a hard-won achievement. 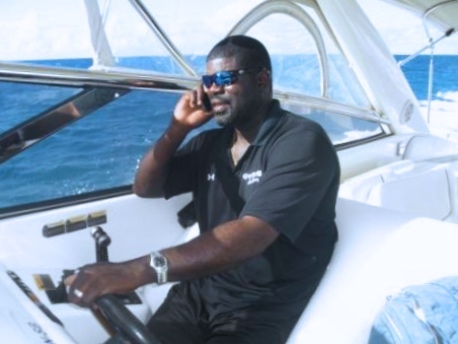 The company is owned by Garfield Richardson (aka Gotcha), who has a typical Anguillian family history that includes hard working, independent sailors, fisherfolk, sea captains, boat-racing and business men. Gotcha! Garfield’s Sea Tours grew out of Garfield’s entrepreneurial spirit combined with his experience in the hospitality industry. We continue to build our reputation on creating personalized cruises that have resulted in long-term relationships with clients and a strong repeat customer and referral base. The company’s ethos is to make boating in Anguilla so memorable that at the end of the cruise we know that we’ve Gotcha! for life!